There are varying definitions of cloud computing, but for nonprofits, the term encapsulates the concept of managing business applications, such as email, newsletters, or accounting, using a web-based service that is hosted and accessed through the internet instead of a personal server. 1. Mobility – Perhaps the most notable quality about cloud services is mobility. Whereas before all your computing software would be tied into one computer or server, probably placed in an office, cloud services are inherently mobile. Because they are internet-based, cloud services can be accessed from any computer or web enable device that you have access to; be it at home or at work. For example, one might use the cloud program Dropbox to combine, upload and share files among members of their organization, without having to stop at the office to access, upload and distribute files. This mobility is especially key for nonprofit organizations where employees work offsite or maintain flexible work schedules. Other cloud services, such as Google Apps and Evernote, provide team members with options to work from virtually anywhere. 2. Flexibility – Closely tied with the concept of mobility is flexibility. When acquiring traditional software and computing services, an organization must generally purchase complete packages, which may contain programs that are not suited for their organization. The advantage of cloud services is that most allow customers to pick and choose the type of features that’s best for them. This can be incredibly effective way of keeping costs down for new organizations as they can use software to meet their specific needs, without the extra packaging bundles in to raise the cost. 3. Analytics – It would be impossible to talk about cloud services without talking about the extraordinary power of analytics. Cloud services provide organizations with an unprecedented amount of information about how their business operates, providing an ability to adapt to market interests more than ever before. For example, consider a weekly newsletter sent out by your organization. With cloud service analytics, including popular tools such as Google Analytics, your organization can now see exactly how many people are viewing the newsletter, what links they are clicking on, and what content makes them more likely to become engaged. All this information gives nonprofits the ability to build new strategies based on grounded and insightful analytics. 4. Integration – As the cloud improves, services are become more and more integrated. Your email account can now communicate with your document writer, which can communicate with your photo management program. This is critical because it allows for smoother use and effective combinations of tasks. Continuing with the newsletter example; without cloud computing, a user may need to use several different programs to make and email the newsletter, some of which may or may not be compatible. 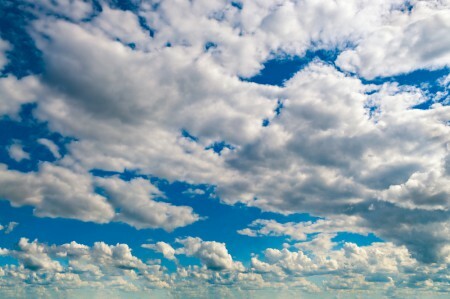 With cloud computing, integration is emphasized. Almost all programs on the cloud are optimized to be compatible with each other, and many programs are owned by the same company. Now you can achieve all your business needs within one integrated platform. 5. Outsourcing – On other key aspect of the cloud is that organizations can essentially outsource their IT needs. With traditional computing, once a program or software package is installed, it is more or less the owner’s responsibility to administrate the technology. If it becomes corrupted or if the hardware malfunctions, it is now up to the organization to fix the problem. This can be absolutely crippling for a nonprofit, especially for those without significant IT resources or experience. Cloud technology nearly eradicates this issue by providing services that are hosted on third party servers. What is typically a hassle and huge time requirement can now be sidestepped allowing your organization to spend more time focusing on institutional objectives and not IT headaches. Essentially, all the benefits of adopting cloud computing lead to one end result: a more efficient organization. Adopting cloud services can result in less time managing computer services, less compatibility issues, and the flexibility to operate as a modern organization.